SAN ANTONIO – FEBRUARY 15, 2018 – VIP Staffing, a premier southwest staffing company, is excited to announce they have received Inavero’s Best of Staffing® Client and Talent Awards for providing superior service to both clients and job seekers. Inavero, along with partner Career Builder, recognize employment agencies with proven results as industry leaders in service and quality. Awards are based on the evaluations of clients and employees. Winning agencies’ customers, on average, are 2.3 times more likely to be completely satisfied, while job seekers are 1.7 times more likely to be completely satisfied with the services provided compared to those working with a non-winning agency. VIP Staffing connects its customers and employees in the light industrial, skill-trades, professional and clerical professions in Texas and New Mexico. The locally headquartered agency received satisfaction scores of 9 or 10 out of 10 from the large majority of both clients and talent, significantly higher than the industry’s average. “We are passionate about partnering leading companies with hardworking, dedicated employees, providing growth opportunities for both clients and job seekers. This award reflects the hard work put forth by our team each and every day and the high standard we set for meeting our customers and employees’ needs,” said Andrew Himoff, Executive Vice President of VIP Staffing. 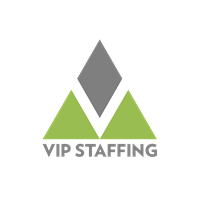 VIP Staffing is a premier staffing company specializing in the placement of candidates in the light industrial, skilled trades, professional and clerical professions in South Texas and New Mexico. Headquartered in San Antonio, Texas, VIP Staffing has provided exceptional personnel and employment solutions for more than 30 years. For more information about VIP Staffing visit vip-staffing.com or contact Amanda Bezner, Director of Marketing, at 210-340-2000 or email abezner@vip-staffing.com.